Favorite youth and young adult speaker John Bytheway makes the Book of Mormon come to life! Ideal for family night lessons, youth conferences, and missionary preparation, this DVD presentation invites all of us to not only read the Book of Mormon but to discover the adventure, the excitement, the inspiration, and especially the doctrines of Christ found within its pages. 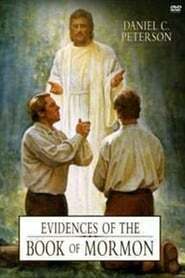 From Nephi's obedience to Alma's courage to the faith of the wife of King Lamoni, HeroesLessons from the Book of Mormon is a must-see for anyone who wants to strengthen his or her testimony and gain a deeper appreciation for what John Bytheway calls "the most exciting book I own." Reading the Book of Mormon can be difficult for children to understand and visualize. The Animated Book of Mormon lets your family see Ammon's service, hear the Savior's voice, and feel Abinidi's testimony, opening the door for them to more deeply understand the life-changing principles of each story. Nothing can take the place of a spiritual witness that the Book of Mormon is true. However, additional evidences of the divinity of this book also exist. In this inspiring and informative presentation, Dr. Daniel C. Peterson, a noted scholar and lecturer, provides an intriguing look at the evidences that support the Book of Mormon as an ancient text. He looks at such things as chiasmus, word-print analysis, geographical evidence, and much more as he shares his witness that the Book of Mormon is the word of God, brought forth by the prophet Joseph Smith. Dr. Peterson's engaging style and convincing presentation will make this video a valuable resource for every gospel library.